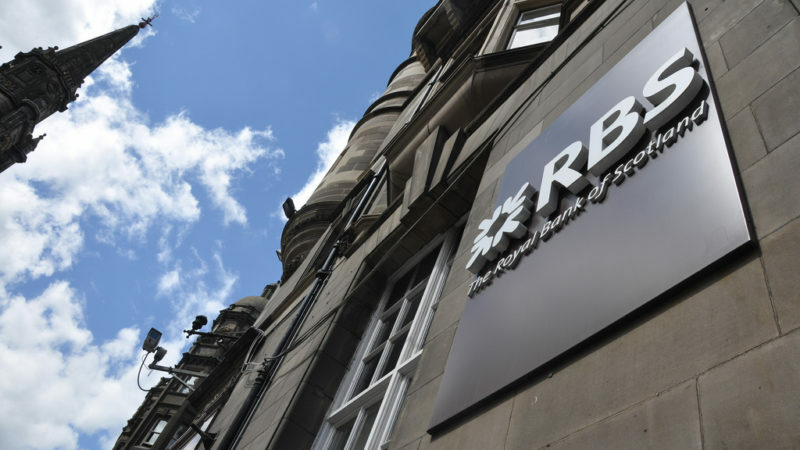 As RBS bosses yesterday sat down to their AGM with a plan to speed up the bank’s privatisation, the Labour Party repeated their intentions to halt the government’s botched sell-off. Yesterday, Reuters reported that Labour’s shadow banking minister Jonathan Reynolds said that the party “cannot see the rationale for selling more shares” now, given that the share price is under what was paid and the bank is now paying out dividends to shareholders. Indeed, the price of RBS shares remains around half the level they were when the government spent £45bn buying them up during the 2008 crisis. In November 2018, the Office for Budget Responsibility estimated that the sell-off would therefore mean a loss of £28.5bn in public money. What’s more, ditching RBS shares soon after they begin yielding a dividend is a further strike of economic incompetence. As the OBR also pointed out, the Treasury will be losing an additional £2bn in dividends with its sell-off plans. But these losses are just one aspect of the argument against the RBS rip-off. By privatising RBS, the government will be losing much more than billions of pounds of public money. It will also be losing a huge opportunity to reshape Britain’s banking system into a force for good. With RBS in public ownership, there is a huge opportunity for it to be transformed into a bank which actually works in the public interest. The government could use its influence as majority shareholder to turn RBS into a vehicle for deploying better models of banking, by giving it a mandate to support local communities and the real economy. The government could use its power to stop RBS creating money primarily to bid up prices for pre-existing property and other assets, and instead give it a mission to lend to socially useful projects, such as green infrastructure and quality, affordable housing. This is why it is disappointing that the Labour Party seems to have rowed back from proposals to use the bank to direct investment in the UK economy. At least this is how Reynold’s words that “We don’t have a policy of day-to-day control of RBS” have been interpreted. There is still hope for progressives who want to see government take real action on a banking sector which continues to prove unfit for purpose. As Reynolds says, “there is clearly unmet demand in lending and a problem with financial inclusion”, and options for reforming RBS have not been ruled out totally. But it is worrying for activists that the Labour Party seems to be softening its proposals for radical financial reform. Reynolds has also hinted that the Party is considering ditching its Robin Hood Tax, which was welcomed as a way of reining in the financial sector’s excesses. It is understandable that the Labour Treasury team seeks to steady the nerves of big finance, in order to avoid market movements which may put considerable pressure on a Corbyn government and its ability to transform the British economy. But either way this is a fight that any government which wants to take the necessary steps to fix Britain’s broken economic model must prepare for. Rather than softening on the big banks, Labour must continue to be, in the words of Jeremy Corbyn, “a threat to a damaging and failed system that is rigged for the few”.